An aerial view of Arch Canyon within Bears Ears National Monument in Utah is seen May 8, 2017. The federal government says it doesn’t have to release documents possibly outlining legal justifications for President Donald Trump to shrink national monuments because they’re protected presidential communications. 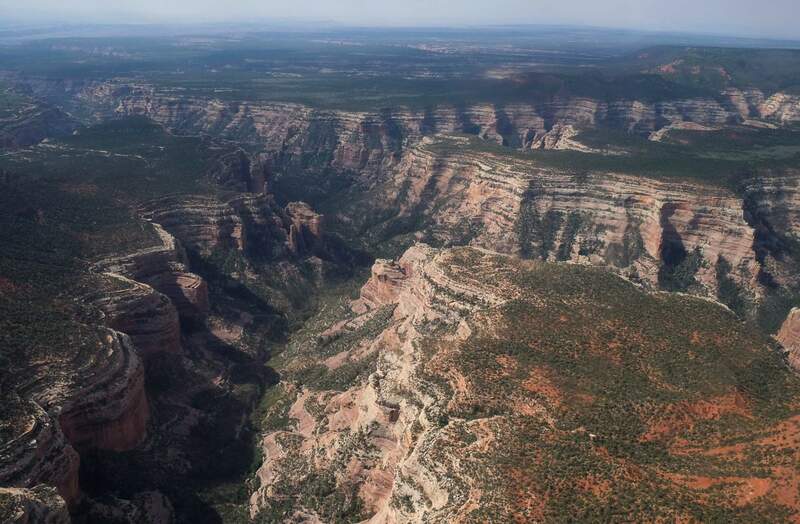 BOISE, Idaho – The U.S. government says it does not have to release documents involving legal arguments for President Donald Trump’s decision to shrink national monuments because they are protected presidential communications.